Fire Chief’s have always had to get to a fire as quickly possible, and a buggy was ideal transportation. 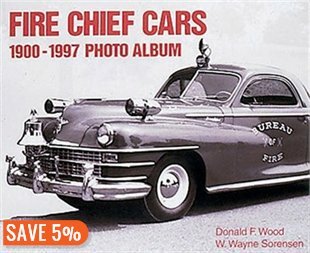 “Chief’s buggies”, as they were always known, were civilian “runabouts”. They were ideal since the average Chief wanted it to “runabout” as fast as it could! Probably built in Victoria in the 1890s, this buggy has been kept in repair since then and was restored in the 1960s by George White. It will soon be restored again in it’s original white with gold pinstriping. This photo shows two retired Chiefs both of whom served during the volunteer era. Thomas Deasy (driving, on the left) was Chief from 1887-1901 and certainly would have driven the rig in service; and Joseph Wriglesworth, (seated on the right) was Chief Engineer (Chief) from 1875-1877.